promote opportunities for ongoing mutually productive employee/manager engagement beyond the bare minimum requirements of the professional relationship (e.g., coaching, mentorship, team-building and camaraderie, etc.). Managers sometime struggle with the practical application of this seemingly foundational concept (understandably so, given that difficult conversations are often involved; see prior articles here and here). 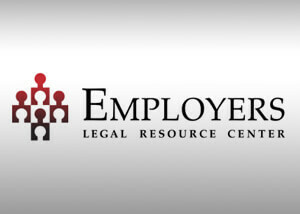 Nevertheless, an employer that places a high priority on, and leadership accountability to, EEPM practices benefits from a more engaged, culturally content, and productive workforce while also possibly affording the organization legal protections should it ever have to defend an adverse employment decision or otherwise. For EEPM practices to be “effective,” the employer must acknowledge and embrace the dual-purpose nature of such practices: proactive (“P-Side”) and reactive (“R-Side”). The old “carrot and stick” metaphor is helpful in distinguishing between the P-Side and R-Side of EEMP. On the P-Side, both tangible and intangible rewards proactively incentivize employees to grow and succeed in the organization, whereas on the R-Side, tangible consequences are employed to reactively motivate employees to grow and succeed. Unfortunately, organizations cannot rely exclusively on incentivized accountability realistically to achieve all desired employee performance results absent some forced accountability. As such, organizations must find the appropriate balance between the P-Side and R-Side in their EEPM initiatives. 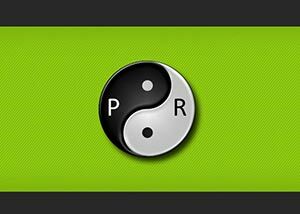 Regardless of how it is labeled (e.g., employee training and development, talent development, performance management, or otherwise), proactively setting goals for, training, and incentivizing employees to succeed pursuant to an employer’s expectations then reactively holding employees accountable when they fall short of such success inevitably becomes the “yin and yang” of EEPM. An imbalance between the two may undermine the efficiency of an organization’s employee performance management initiatives. Such imbalance may occur from hyperactive or hypoactive senior leadership encouraging (intentionally or unintentionally) its management team(s) to prioritize one purpose over the other. This could lead to a bilaterally disproportionate managerial disposition towards hyperactively policing acceptability of performance or blindly championing growth-inspired positive performance. Such an imbalance may leave an organization vulnerable operationally and/or legally. Overly relying or neglecting either purpose may negatively impact employee performance, productivity, and overall employee/organizational success. By itself, reward-driven accountability may result in employees underperforming relative to organizational expectations absent consistent and predictable consequences when the “carrot” is not enticing enough to induce the desired outcome. Likewise, attempting to strong-arm employees into the same desired result without reward may create a culture that promotes cutting corners, avoiding risks (or hiding mistakes), avoiding or shifting blame, abusing authority, micromanaging, encouraging pretext, and/or stifling creativity and innovation. So how does an organization maintain a productive equilibrium between P-Side and R-Side EEPM? Simply put, the organization must consistently acknowledge and respect that the two are interconnected and interdependent through the common objective of promoting employee success. Proactive talent development initiatives should be balanced with consistent efforts to hold employees accountable for performance. Reactive performance accountability initiatives should be balanced with consistent efforts to encourage employees to grow and be successful. P-Side practices are inherently unique to each organization depending on specific organizational missions, goals, philosophies, industry, development cycle, employee demographics, finances, influential stakeholders, etc. As such, even a generalized review of P-Side composition relative to the R-Side is well beyond the scope of this article. The remainder of this article focuses instead on some common R-Side EEPM practices that organizations can build upon when constructing their overall balanced EEPM programs. Timing. Addressing and resolving employee performance issues in a timely manner is arguably the most critical step in R-Side EEPM. A misstep here at best creates barriers for proactively facilitating employee success, and at worse, creates large crevasses filled with potential legal repercussions. If the best time to condition a behavior to reoccur or not reoccur lies closest to the time of the behavior, then it logically follows that managers should address performance concerns as promptly as possible to maximize an employee’s potential for success within the organization. Managers who delay action under such circumstances out of convenience run the risk of having to address the concerns later when it is not so convenient and other variables may make it a much more complex proposition (see prior article here). Core Values, Policies and Practices Review. Organizational core values, policies and practices should provide for a more consistent and predictable employment journey for both employees and managers – as is similarly true for other complex endeavors offering a playbook, roadmap or instruction manual for guidance. EEPM practices should be founded on such guidance when possible, and related EEPM documentation should specifically incorporate relevant references to the guidance when applicable. Context. Managing employee performance is an ongoing process and not a finite task that occurs in a vacuum. Therefore, it is critical for managers to understand the relevant historical and tangential contexts (hopefully appropriately documented) they are working within when addressing current performance concerns. Historical Information. EEPM requires managers to clearly communicate all performance expectations to employees at the onboarding, goal setting, evaluation, and accountability stages. Therefore, relevant and appropriate supporting documentation that has been properly communicated and acknowledged by the employee (e.g., employee personnel file – job description, handbook and policy receipt acknowledgements, prior disciplinary actions, performance reviews, action plans, training documents, etc.) should be reviewed with the employee and referenced within the current documentation. Additionally, the decision maker who will ultimately approve, implement and/or direct a given performance-related action (i.e., the acting manager) needs to be generally aware of (preferably through the organization’s HR Department’s and/or employment counsel’s involvement) relevant confidential employee information that is potentially related to the performance concerns in order to appropriately account for any influences that warrant consideration (e.g., personal medical, ADA reasonable accommodation requests, family leave, workers’ compensation, etc.). However, an organization is legally obligated to protect the confidentiality of such information, so managers should only have access to such information on a need-to-know basis. Furthermore, specific details of such confidential information should not be included in performance related documentation. Tangential Information. 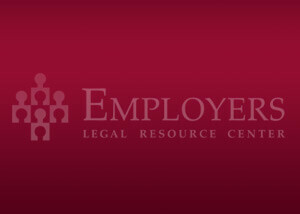 While employee performance should stand on its own during the evaluation and accountability phases of R-Side EEPM, acting managers must also be mindful of other tangential concerns and/or claims expressed by employees in order to not exacerbate potential liability risks for the organization through additional retaliation claims (e.g., health and safety-related complaint, active workers’ compensation claim, protected leave request or status, reasonable accommodation request, anti-discrimination charge, wage and hour complaint, etc.). Title VII retaliation claims relating to employment discrimination continue to be the most common workplace discrimination charges with the Equal Employment Opportunity Commission (EEOC). Additionally, an acting manager relying on someone else’s (e.g., subordinate manager) performance assessments should independently verify the basis for addressing the specific concerns related to the employee’s performance before acting. Objective, Specific, and Job-Related Language. The language used in performance management documentation should avoid biased personal opinion, speculation, overly broad judgments/conclusions, and references to things not job-related. Specificity is critical. Using generalities to describe performance deficiencies and expectations does not afford the clarity necessary for effectively articulating what specific behaviors and concerns are being addressed. Specific performance examples supported by credible observation and/or independent measurement should be referenced in the documentation when possible. Resulting performance expectations should be documented clearly and concisely with as much detail as possible (e.g., timelines, deliverables, quality and quality measures, available resources, update requirements, etc.). Employee-Generated Goals and Action Plans. Managers should consider allowing employees to contribute to their own goal setting and action planning during the EEPM evaluation and accountability stages. This provides an employee the empowering opportunity to establish acceptable self-prescribed goals and/or solutions during these EEPM stages. In doing so, the manager promotes the employee’s personal accountability to his/her own professional growth and success with the organization by virtue of the employee’s more personalized vested interest. Employees’ specific goals and/or solutions should be clearly stated (preferably in the employee’s own handwriting) in the performance documentation. Accountability Conversations/Meetings. While not always necessary, some accountability stage interactions should occur with a witness present. If the acting manager anticipates an unusually challenging conversation with and/or negative reaction from the employee, the manager should include another management team member in the meeting. Beyond serving as a witness to the conversation, the additional manager might assist in taking meeting notes and provide additional perspectives when appropriate. The acting manager should prepare accordingly for difficult conversations (see prior article here). The cornerstone of EEPM is effective communication. Effective communication between two parties requires both speaking clearly and listening actively (a two-way interaction). This is true for all EEPM stages (i.e., onboarding, goal setting, evaluation, and accountability). An employee’s comments and/or rebuttals during the accountability stage clarify and provide the details for documenting (preferably in writing by the employee) the employee’s perspectives. Awareness and documentation of such perspectives by the organization may be operationally invaluable and are legally prudent to have. Such comments provide an employer the opportunity to not only assess factors relevant to the concerns being addressed, but also, to proactively assess other potential concerns that the employee may have. Additionally, mutually acknowledged written comments help to clarify and limit the concerns at issue. Finally, after reiterating performance expectations and related consequences for not satisfactorily meeting such expectations one last time, conclude accountability conversations with the employee having another opportunity to disclose any other related or unrelated concerns he/she believes the organization needs to be aware of. Document and then immediately follow up as necessary on any additional concerns presented. Consistency. If effective communication is the cornerstone of EEPM, then consistency is the meticulous alignment of every stone thereafter promoting structural integrity of an EEMP program. Inconsistent performance management practices (or perceptions thereof) may create seemingly insurmountable obstacles in a workplace for leadership teams. Resulting negative employee morale, performance and conduct issues can spread quickly throughout the workforce like a plague. Once such a mindset is engrained in a workforce, the leadership team has the unenviable task of shifting the organizational culture to a more productive disposition – not an easy endeavor. Additionally, there may be individualized considerations influenced by inconsistency within the larger organizational perspective that may also result in adverse consequences for the organization. Managing two or more similarly situated employees’ performance differently may prove legally problematic for the organization if faced with an employment discrimination claim. © Box Law Practice, PLLC, 2018. All rights reserved. ***DISCLAIMER*** This article (“Publication”) is made available for general informational / educational purposes only and not to provide specific legal advice. The Publication should not be used as a substitute for competent legal advice from a licensed professional attorney in your state. 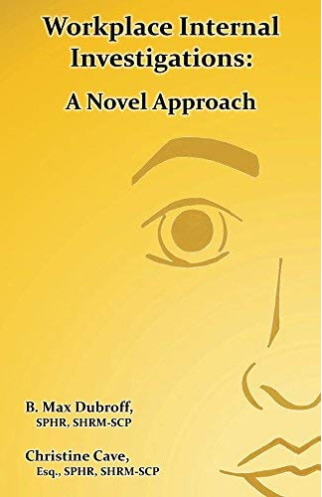 By accessing the Publication, you understand that there is no attorney client relationship between you and the attorney author or any law firm he may be associated with.